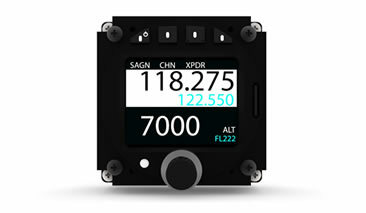 AIR Control Display is our newly designed control display for aircraft radios and transponders. It features robust hardware, a sunlight readable display and modern functionality. Air Control Display works well with many aircraft radios and Mode-S/ADS-B transponders. It is capable of controlling a radio, a transponder, or both simultaneously. ⟵Local Times Age article on a 1000 k flight from Papawai.